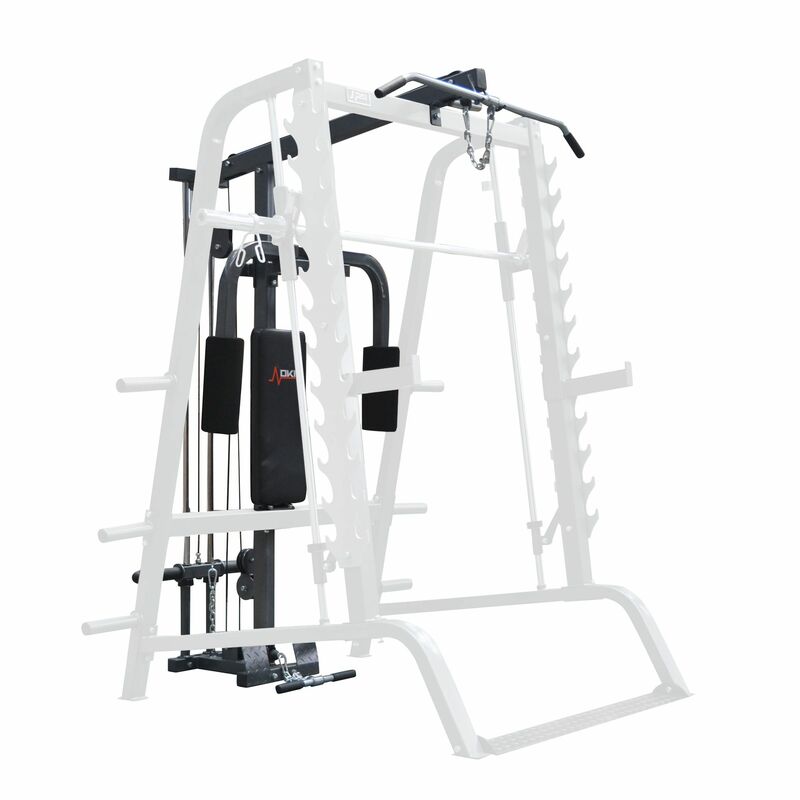 The DKN Pec Deck / Pulley attachment is compatible with the DKN heavy duty linear smith machine and will add a number of great workout exercises to your routine. The pec deck lets you focus on working and toning chest and shoulder muscles and the pulley system offers a wide range of cable exercises to further enhance your chest, shoulder, back and arm development. The equipment is built to last and suitable for standard and olympic weight plates. for submitting product information about DKN Pec Deck / Pulley Attachment We aim to answer all questions within 2-3 days. for submitting product information about DKN Pec Deck / Pulley Attachment. We aim to answer all questions within 2-3 days. If you provided your name and email address, we will email you as soon as the answer is published. Is there a weight stack available for the smith machine pulley attachment? Also could you confirm the total height of the smith machine when the pulley attachment is fitted? There is a weight stack available for the pulley machine weight stack of 100 kg. Total height you would be looking at around 68 inches. for submitting product review about DKN Pec Deck / Pulley Attachment.